Architect Bjarke Ingels is using his super-powers for good, not evil. Whew. What’s his super-power? I’m going to assert that it’s his ability to solve problems. But not just the regular old pre-existing problems, this guy is thinking and re-thinking things in such progressive ways as to encounter a whole host of new unforeseen problems. Then he goes ahead and solves all of those, effectively creating giant cascade of solutions in the form of an amazingly innovative new building. Espousing a philosophy of Pragmatic Utopianism, he’s created his manifesto in the form of a graphic novel, or “archicomic,” Yes Is More. And with an air of genuine benevolence, the dashing good looks of a Clark Kent or Bruce Wayne type, an intellectual the-gears-are-always-turning look in the eyes, and the forward-momentum of a man on a mission, he bears an uncanny resemblance to an actual super-hero. Though, to be sure, there is nothing about his down-to-earth demeanor that suggests he thinks of himself that way. Oh, and instead of a bat-mobile, he rides a bicycle; much smaller carbon footprint. MY PLAYGROUND - PREVIEW from KASPARWORKS on Vimeo. What’s more, he hangs out with a bunch of other heroes whose super-power is to defy gravity. And they defy gravity beautifully, all over his buildings! Check out this trailer for the film My Playground by Kaspar Astrup Schröder featuring freerunning and BIG architecture. The BIG studio is packed with so many elaborately constructed scale models that it begins to feel like a veritable miniaturized metropolis of Ingels’ work. So much so that it starts to play with your own sense of scale. Towering over all of those buildings made me feel a bit like King Kong or Godzilla! Definitely dvr the episode so you can pause during scenes at the studio and get a longer look at the models. But not just because the models are cool, because it’s a great way to get a panoramic view of the variety of work being generated by BIG. 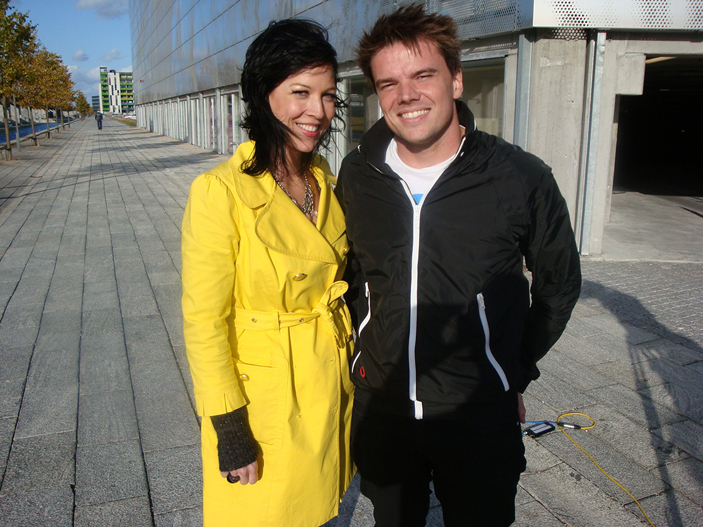 ** This blog post was originally written for the premiere of Designer People | Bjarke Ingels and published on Ovation.com in April 2010. I have made a few edits and updated the links. Designer People airs on Ovation in the U.S. and on 19 different networks internationally. Danish architect Bjarke Ingels takes a playful yet practical approach to his craft. Ingels was born in 1974, and made his mark quite early on. Founding his own company, the ultra successful Bjarke Ingels group in 2006, Bjarke has shown a striking initiative that has led to world-famous designs including New Yorks modern Sky Lounge, the Grand Egyptian Museum in Cairo and the Arlanda airport in Stockholm, Sweden. 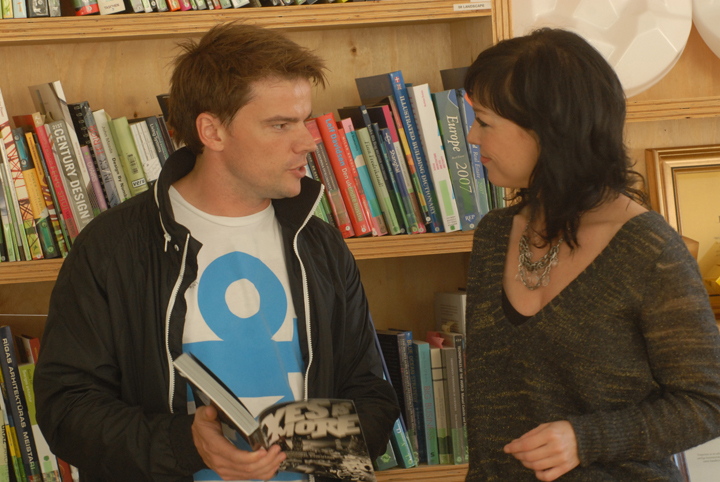 Tune in for Designer People: Bjarke Ingels premiering tonight (4/26/10) at 7pm ET/PT. Amy Devers, Los Angeles-based artist, designer, builder. Host of Ovation’s Designer People and A&E’s Fix This Yard.